Consumer expectations are higher than ever, and one-size-fits-all marketing campaigns simply won’t cut it anymore. Contextual marketing lets you deliver personalised, best-in-class experiences that get real results. Pair context with email, and you’ve got a marketing powerhouse. 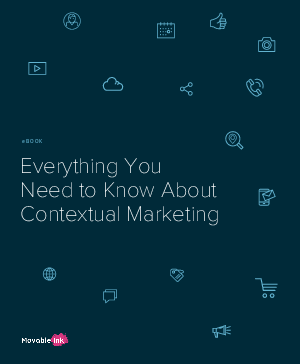 Download Everything You Need to Know About Contextual Marketing to see the contextual email marketing campaigns that top brands are using. You’ll see real-life examples and find out how to put together your own contextual campaign.